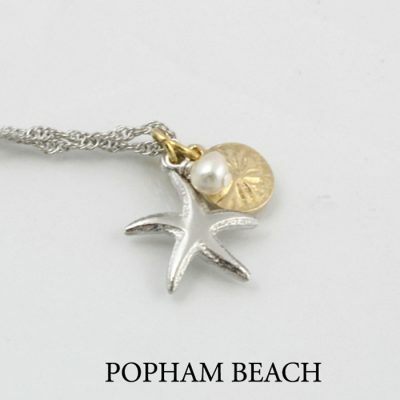 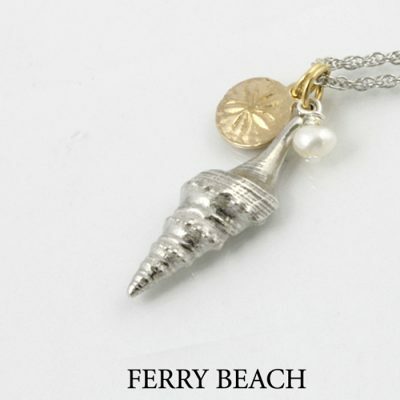 Married metals Popham Beach pendant with chain. 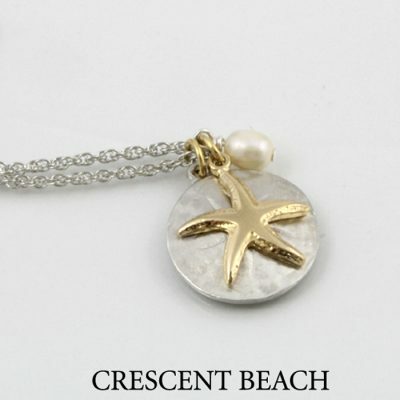 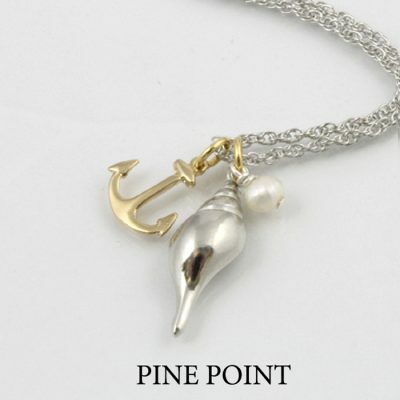 Pewter Starfish, layered with a small gold plated sand dollar and a pearl accent on an 18″ rhodium chain. 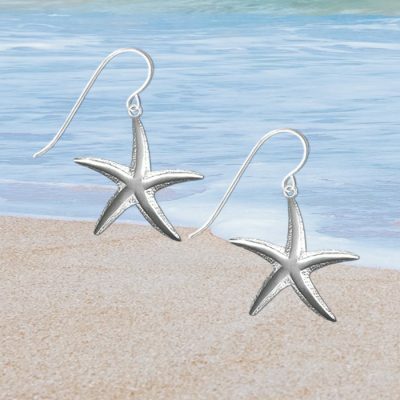 Starfish Drop Earrings or Petite Sand Dollar drop earrings compliment the pendant.